Idaho school districts and charter schools have written out their ideas for helping their students learn to read. Their priorities vary widely. Some districts want to add teachers to spend time with struggling readers. Other districts emphasize technology or training. An all-day kindergarten class in the Coeur d’Alene School District. Schools can use their share of literacy funding to expand kindergarten offerings to at-risk readers. The goals also are all over the map. Some districts have ambitious goals to boost reading scores — this year. Other districts’ plans are vague. The State Board of Education is just starting to review these literacy plans, which were due last week. Board staff may ask schools to flesh out their paperwork, but the board doesn’t have veto power. One way or the other, schools will get their share of state money for literacy programs; the money is likely to arrive this month. Each fall, nearly 37,000 kindergarten through third-grade students arrive at school without the skills they need to read at grade level. In 2016, Gov. Butch Otter and the Legislature agreed to put an additional $9.1 million into literacy programs. Combined with existing dollars, districts and charters will have $11.25 million to spend to help their struggling readers. The state’s guidelines are simple enough — and based on the Idaho Reading Indicator, a test taken by K-3 students across the state. For students who score “below basic,” the lowest of three scores on the IRI, schools must provide an additional 60 hours of reading instruction. For students who receive a score of “basic” — the middle score on the IRI, which still falls below grade level — schools must provide 30 hours of extra help. It’s up to the schools to figure out how to make this happen. And in essence, every district and charter school has the chance to pilot its own plan to improve reading scores. Idaho Education News reviewed literacy plans from more than a dozen school districts — districts that accounted for more than one half of Idaho’s 2015-16 student enrollment. While this sample represents only a cross-section of the plans from 115 districts and more than 30 charter elementary schools, some contrasts are clear. The Coeur d’Alene School District expects to receive $316,000 in literacy funding, nearly a tenfold increase from 2015-16. The district’s biggest line item: a $118,000 training plan for 40 teachers. Twin Falls plans to spend $99,000 on Chromebooks and charging stations, the largest line item in a $378,000 budget. Students will use the devices to log onto learning software that allows them to work individually, or in small groups. The Kuna School District expects to spend nearly all of its $215,000 on staffing. One of Kuna’s priorities is to offer expanded or all-day kindergarten to more of its struggling readers. Kindergarten staffing is a priority in Nampa, which is spending $344,000 on an additional 14 part-time teachers. In 2015-16, only 40 percent of Nampa kindergartners read at grade level in the fall — although that number climbed to 71 percent by spring. The Caldwell School District has big goals for 2016-17. In 2015-16, roughly half of the district’s second- and third-graders ended the school year reading at grade level. Caldwell wants immediate results — with 80 percent of second-graders and 85 percent of third-graders scoring at grade level in the spring IRI. The state assigned districts and charters to include 2016-17 reading benchmarks in their literacy plans. Some districts set more modest targets. They want to see spring IRI scores improve by a few percentage points. The Boise district wants 83 percent of kindergartners reading at grade level this spring. In 2015-16, 82 percent of kindergartners hit this target. But several literacy plans reviewed by Idaho Education News set no student benchmarks — or even omitted the benchmark section entirely. It’s up to State Board staff to review these plans — and point out problems. Spokesman Blake Youde stopped short of saying the missing benchmarks will be a board priority. “We don’t have any preconceived notions,” he said Wednesday. Either way, he said, the State Board will not be in “gotcha” mode. The 2016 literacy law does not require the State Board to sign off on a literacy plan, or give the board the authority to reject a plan. In other words, that means the literacy money is on its way, or will be soon. The State Department of Education could send out payments later this month, spokesman Jeff Church said. It’s still not clear exactly how much money will go to individual districts or charters — but school officials have a pretty good idea of what to expect. The state will carve up the $11.25 million based on a three-year average of IRI scores. Districts and charters can expect $300 for every student that scored below grade level. Across Idaho, parents are just starting to get letters from their local school — telling them their son or daughter is not reading at grade level, and outlining the school’s plans to provide extra help. Understandably enough, parents will have one focus, said Donovan, the Boise district administrator. They will want to see their children get to grade level — and as quickly as possible. But while schools will face parental and political pressure to produce immediate results, educators also have one eye on the horizon. A cornerstone of Boise’s literacy plan is its volunteer summer reading program. In 2016, 541 students took part in the summer program — and the district hopes to build on that. Of course, this summer program will have no effect on how kids fare this year, or Boise’s 2016-17 test scores. The Bonneville School District is straddling a similar line. Seventy-nine percent of the Eastern Idaho district’s students read at grade level in 2016, and Bonneville wants to hit 95 percent by 2020. For this year, Bonneville is shooting for improvements of 3 to 7 percentage points, depending on grade level. Curriculum and instruction director Michaelena Hix is optimistic, but she also preaches patience. 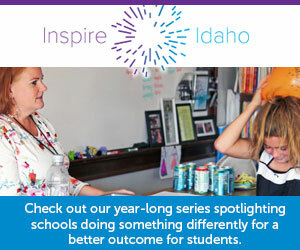 Coming this fall: Idaho Education News will join Idaho Public Television’s “Idaho Reports” to take an in-depth look at the literacy initiative.